Immune activation by mtDNA release through both intracellular and extracellular pathways. 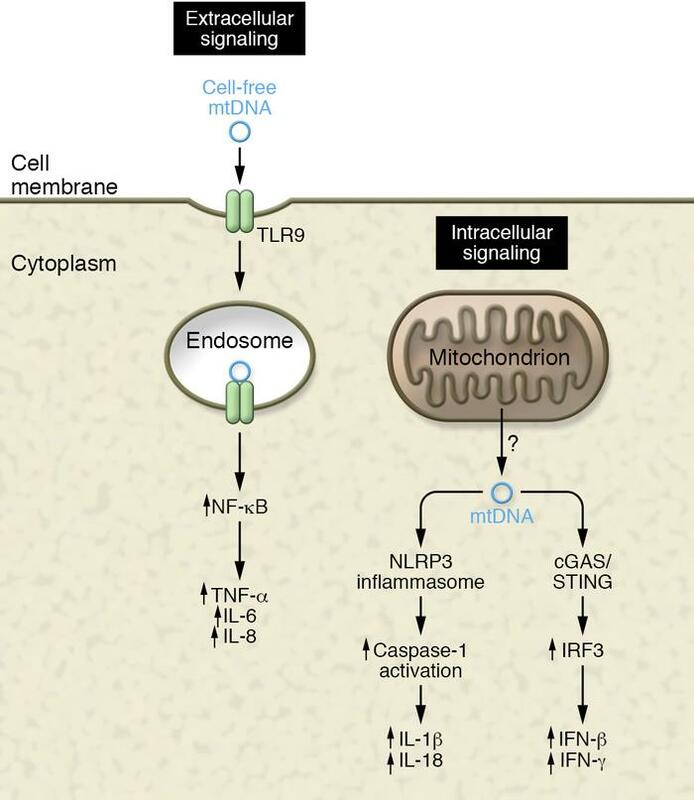 The innate immune system has at least three sensors for detecting mtDNA: TLR9 for sensing circulating (extracellular) mtDNA, and the NLRP3 inflammasome and the cGAS/STING pathway for sensing cytoplasmic (intracellular) mtDNA release. A host of downstream signaling pathways and cytokines are induced following activation of each of these distinct pathways. The precise mechanism through which mtDNA is released into the cytosol or the circulation remains uncertain.